During a move for EchoStar III to a new orbital slot that was undertaken last week, an anomaly of unknown origin occurred, resulting in communications with the satellite being intermittent as well as interrupted. Artistic rendition of the EchoStar III satellite. EchoStar III is a Ku-band BSS satellite that provided coverage over the U.S. The satellite, manufactured by Lockheed Martin and operated by EchoStar, was launched in 1997 and has significantly exceeded its 15 year design life. The satellite has been operating in an inclined orbit for more than three years. 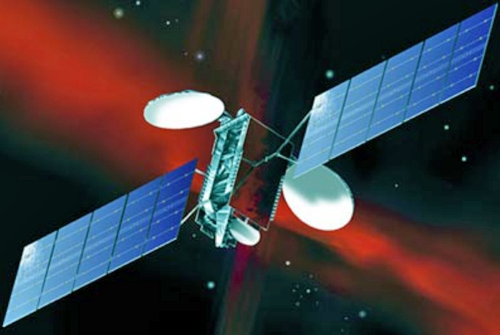 EchoStar III is owned by EchoStar and is a fully depreciated, non-revenue generating asset. According to Derek de Bastos,the CTO for EchoStar Satellite Services L.L.C., the satellite has received FCC authority for its current flight configuration and the company is working in cooperation with the satellite manufacturer to re-establish a reliable link in order to recover and retire the spacecraft. In spite of the anomaly, the company believes that the current EchoStar III orbit does not present a significant risk to operating satellites in EchoStar III's geostationary arc.